After two decades of deregulated free market economy the post-socialist rural mountain areas are being unprecedently commodified. Landscapes of tourist consumption with specific behaviour patterns are produced and reproduced. The paper explores how landscapes are transformed due to massive investments into tourist infrastructure with questionable impacts on quality of life and environmental sustainability. Power relations and related production of space are analysed in three case studies in the selected mountain areas in Slovakia. First, the Oščadnica case study reflects on rural landscape rapidly transformed by massive ski resort development and deforestation. Second, the Tále golf course development case study describes commodification and gentrification processes in Central Slovakia. Third, the High Tatras case study explores how power structures push on the transformation of the oldest and most visited National Park in Slovakia. Blažej, J 2006, ‘Veľká a ešte väčšia Veľká Rača’, Trend viewed on 21.12.2006, http://relax.etrend.sk/relax-cestovanie/velka-a-este-vacsia-velka-raca.html. Chrenka, B 2010, ‘Udržateľnosť, krajina a cestovný ruch: hľadanie teoretických východísk’, in P Nováček & M Huba (eds) Udržitelný rozvoj – stav a perspektivy v roce 2010, Olomouc, Vydavatelství Univerzity Palackého, 213-222. Church, A & Ravenscroft, N 2007, ‘Power, resource mobilisation and leisure conflict on inland rivers in England’, in A Church & T. Coles (eds) Tourism, power and Spaces, Routledge, New York. Council of Europe, 2000, The European Landscape Convention, Strasbourg. Culler, J 1981, ‘Semiotics of tourism’, American Journal of Semiotics, no.1, p.127-140. Fyhria, A, Jacobsen, JKS & Tømmervik, H 2009, ‘Tourists’ landscape perceptions and preferences in a Scandinavian coastal region’, Landscape and Urban Planning, vol. 91, p. 202–211. Harvey, D 2006, The Limits to Capital: New and Fully Updated Edition, Verso, London. Humphreys, R & Nollen, T 2000, The Rough Guide to Czech and Slovak Republics, Rough Guides, London. Ira, V 2005, ‘Sustainable Development, Quality of Life and Tourism’, in M Hesková, E Šittler & V Dvořák (eds) Tourism, Regional Development and Education, Reviewed Proceedings of the 10th International Conference “Tourism, regional development and education”, Katedra cestovního ruchu Tábor, Jihočeská univerzita České Budějovice, Tábor, 12–13 May 2004, p.51–56. Klein, N 2001, No Logo, Flamingo, London. Kollár, D, Lacika, J & Malarz, R 1998, The Slovak-Polish Tatras, Dajama, Bratislava. Kušová, D, Těšitel, J, Matějka, K & Bartoš, M 2008, ‘Biosphere reserves – An attempt to form sustainable landscapes – A case study of three biosphere reserves in the Czech Republic’, Landscape and Urban Planning., vol. 84, no. 1, p. 38-51. McCannell, D 1976, The Tourist: A New Theory of the Leisure Class, Schocken Books, New York. Morgan, N 2004, ‘Problematizing Place Promotion’, in AA Lew, CM Hall & AM Williams (eds) A Companion to Tourism, 173-183, Blackwell, Oxford. Novák, TJ 2007, ‘Landscape changes as manifestations of changing society’, in E Kallabová, B Frantál, P Klusáček (eds) Regions, Localities and Landscapes in New Europe: enhenced abstracts of Lectures from the 7th International Geographical Conference CONGEO ’07, Brno, Czech Republic. Brno, Institute of Geonics ASCR., p.44-45. Nový čas, Svištia krajinka vo Vysokých Tatrách: Detský raj vo výške 1751m, viewed on 2.7.2010. http://www.cas.sk/clanok/171921/svistia-krajinka-vo-vysokych-tatrach-detsky-raj-vo-vyske-1751-m.html. Olwig, KR 2005, ‘Theme issue: landscape justice, morality and the law of the land’, Landscape Research, vol.30. no.3, p-293–430. Oťahel, J 2003, ‘Visual quality of the landscape: approaches to analysis’, Ekológia (Bratislava), vol.22. no.2, p.150-160. Pocock, D & Hudson, R 1978, Images of the Urban Environment, McMillan, London. Powell, JM 1978, Mirrors of the New World: images and image-makers in the settlement process, Australian National University Press, Canberra. Smith, N 2008, Uneven development: Nature, Capital, and the Production of Space, The University of Georgia Press, Athens. TMR, 2010, Valné zhromaždenie TMR, apríl 2010. Press release viewed on 22.4.2010 http://www.tmr.sk/fileadmin/userupload/tlacovespravy/vz220410.pdf. UNEP, 2003, Tourism and Local Agenda 21. The Role of Local Authorities in Sustainable Tourism, Paris UNEP – Freiburg ICLEI. Urry, J 1990b, The Tourist Gaze: Leisure and Travel in Contemporary Societies, Sage, London. Vos, W & Klijn, J 2000, ‘Trends in European landscape development: prospects for a sustainable future’, in J Klijn & W Vos (eds) From Landscape Ecology to Landscape Science, Wageningen, Kluwer Academic Publishers WLO, p.13–30. 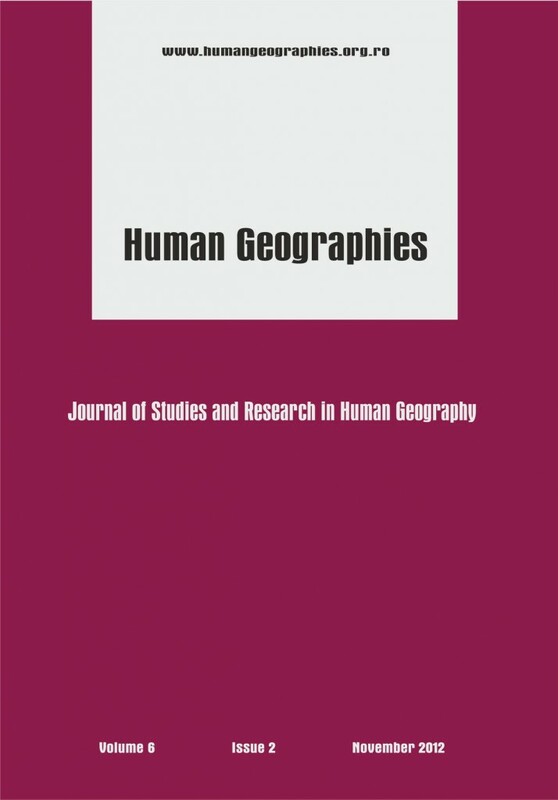 Walmsley, DJ & Lewis, GJ 1993, People and Environment: Behavioural Approaches in Human Geography, Burnt Mill, Longman Scientific & Technical, Harlow. Ward, SV 1998, Selling Places: The Marketing and Promotion of Towns and Cities, 1850–2000, E. and F. N. Spon, London.